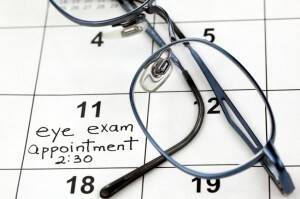 For a lifetime of healthy vision, it is important to have reliable eye exams. These exams can promote ongoing eye health while helping patients retain good vision no matter what their vision needs may be. A good eye exam is timely, professional and affordable, which is why Parrelli Optical is the best choice for eye exams in Topsfield, MA and other surrounding communities. Every Parrelli Optical employee is fully trained to provide high quality support to patients. While there may be other choices for eye care, Parrelli Optical is committed to offering the best service possible. To do this, Parrelli Optical works with patients, listening to their needs and concerns while addressing any optical issues that may be present. For the past 40 years, Parrelli Optical has been focused on providing individualized eye care even for the most difficult cases. This way, Parrelli Optical can work with clients to maintain eye health and find eye solutions with glasses, contact lenses and other treatments. Be sure to receive the best vision care possible by choosing Parrelli Optical. No matter what vision concerns patients may have, we have the skill and understanding to handle the situation. From routine eye exams to customized treatment plans, Parrelli Optical is eager to help patients achieve their vision goals. Contact us for eye exams in Topsfield, MA today.